If you, as a young man, have ever spent an extended time in London, and have at some point needed a haircut, then, well, you are in a city that is simply brimming with exceptionally talented hair styling professionals. Trying to get an appointment on the fly is near impossible, so its best you make an appointment if you are wanting to secure a stylist that knows what they are doing and is able to craft a seriously good hair style. Ask around for recommendations and a few names will be repeated. One of these names will certainly be Johnny’s Chop Shop. 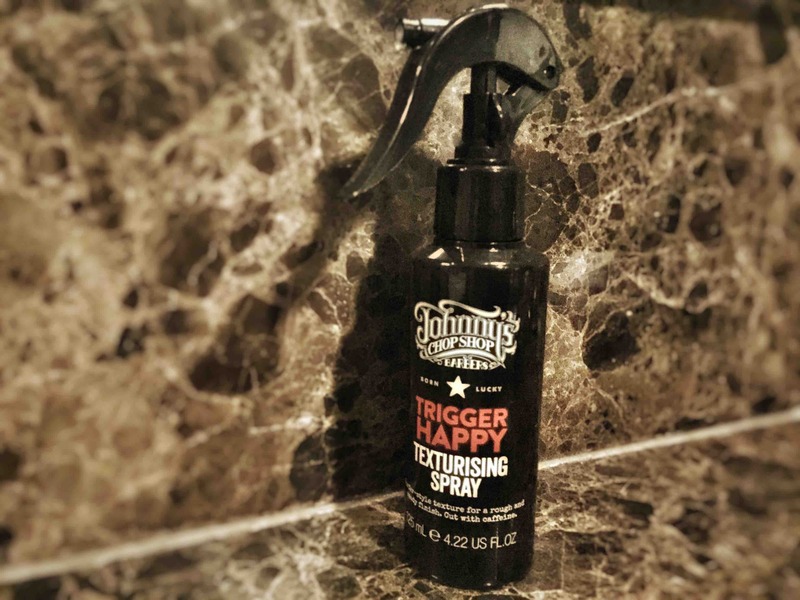 Having discovered Johnny’s a while back, I have been fortunate enough to have had a haircut at their Soho branch. For two weeks thereafter, I had the best hair largely thanks to the styling products that I bought. But flying back and forth to London for haircut is not normal, especially considering that the rand / pound change is dreadful and that South Africa has a fair share of awesome stylists. 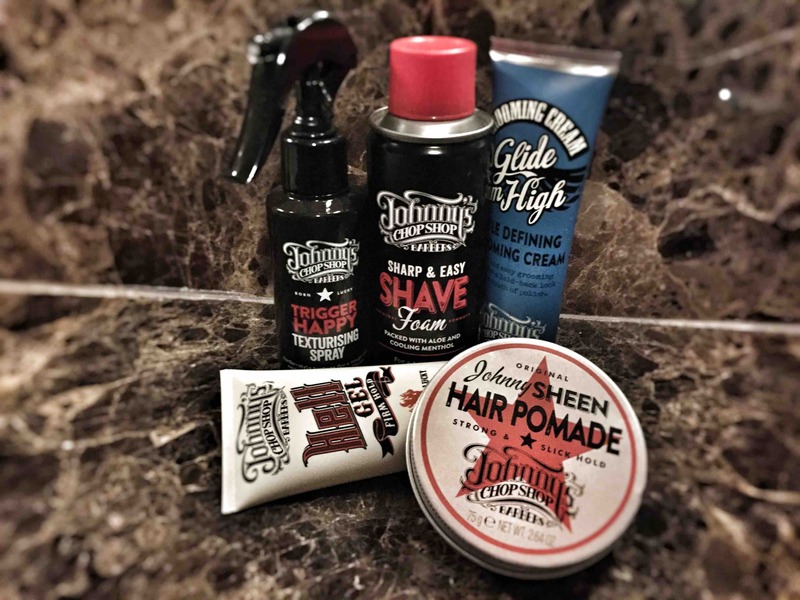 But, Johnny’s products are not, well, were not – until now. 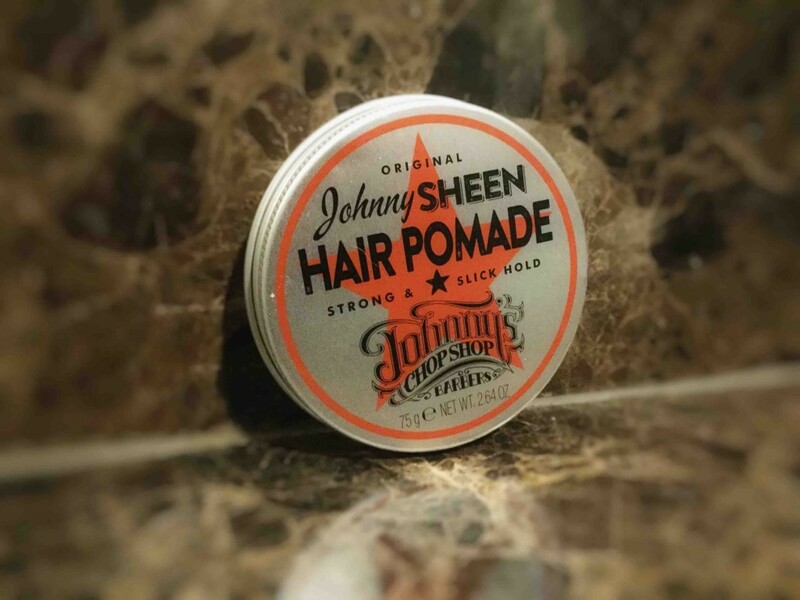 Available at Dischem, Johnny is sure to be part of my grooming regime for the foreseeable future. Here’s a quick run down of the products I’m using now. What’s in it: Contains a blend of Jojoba and Avocado Oil to help smooth dry hair while adding shine, elasticity and softness. Also features Pro Vitamin B to improve lustre and sheen while helping prevent hair damage. Paraben free. How to use it: Start with a 20 cent sized amount. Ruffle through damp hair or slick with a comb. What’s in it: Contains stimulating Caffeine and Pro Vitamin B to help condition and treat hair. Paraben free. What’s in it: Contains Aloe Vera and Pro Vitamin B to provide long lasting moisture, improve lustre and sheen and help prevent hair damage. Paraben free. How to use it: Rub a 20 cent sized amount evenly into your palms, get right down into clean dry hair roots and slick through with a comb, or spike with your fingertips. Your style, your choice. 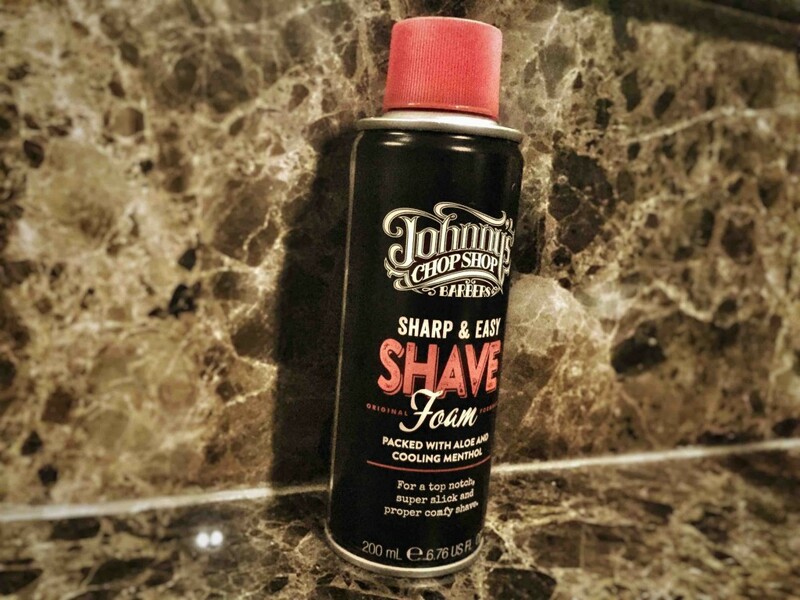 What is it: A rich and smooth foaming shaving cream. 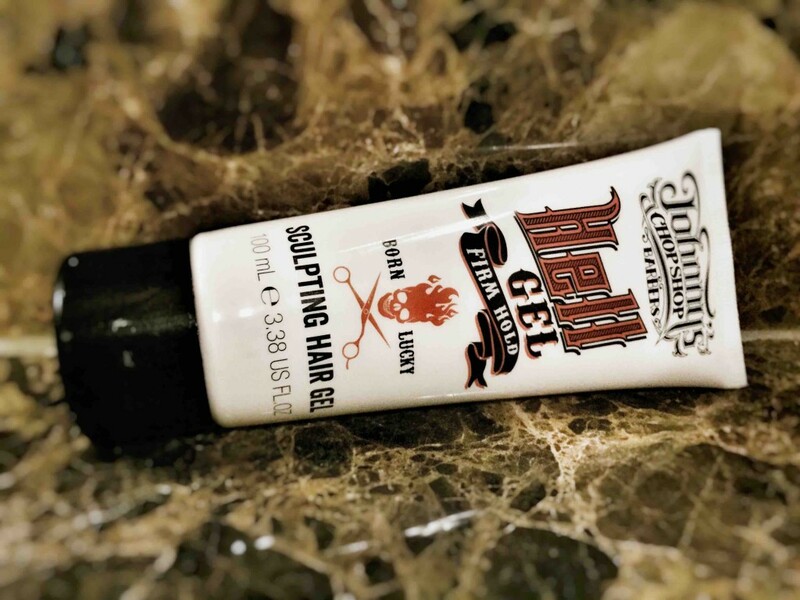 What does it do: Prepares your skin for a top notch super slick and proper comfy shave. What’s in it: Contains Aloe Vera and cooling Menthol. 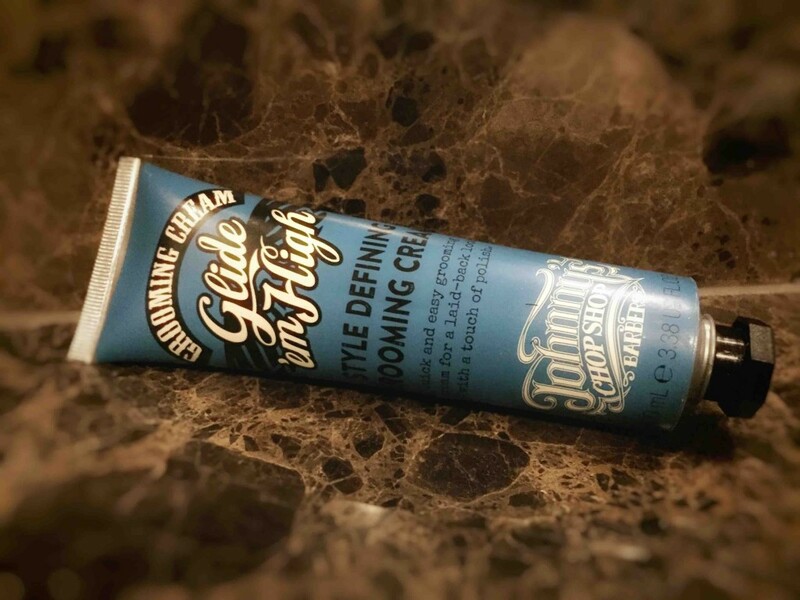 How to use it: Apply to damp skin for a smooth and comfortable shave. 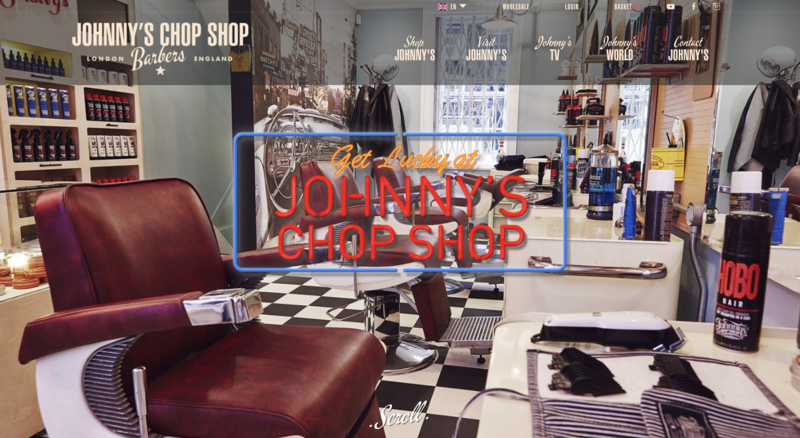 The Johnny Chop Shop site is worth a visit, but be warned, you may loose a few hours as you get pulled in. Aside from their full list of products, they have also dedicated pages to profiling all their chop shops, and introducing their teams of experts. Also, their website has a tonne of really cool videos that give you some great guidance on who to get some great styles for your hair and beard. Here’s the video on how to style a slick back hairstyle with a taper face haircut.